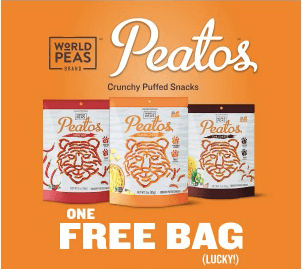 Get a FREE Bag of Peatos Snack! Print the coupons to get a FREE Bag. Expires April 14th. [Find Peatos™ at your local store] Note that not all retailers accept printable free product coupons. **This offer is still available in case you missed this post. You can also find more printable coupons here.